The people in charge of the TJ. From left to right: XO, Chief Steward, Chief Engineer, CO, and Chief Boatswain (front). 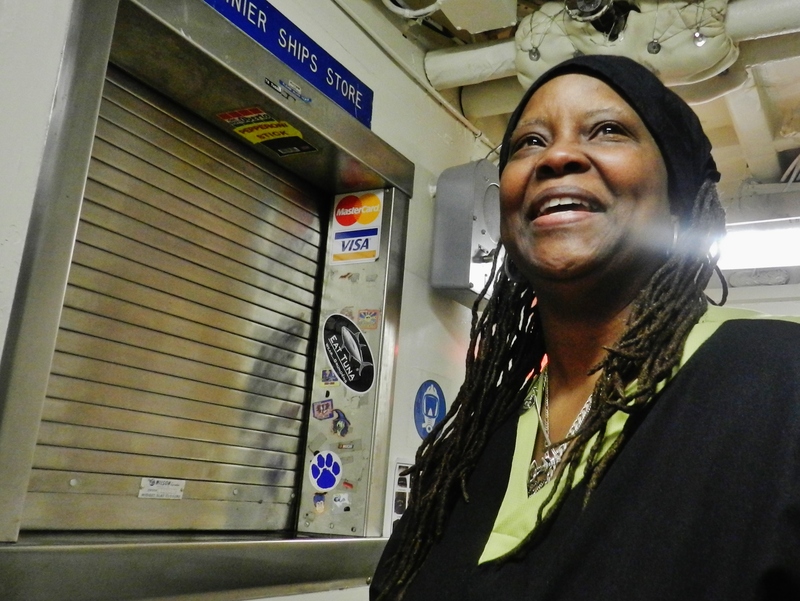 During my time aboard the Thomas Jefferson, I have heard dozens of personal stories from individuals that come from all walks of life. I spent the past few days sitting down with a variety of these people to interview them about how they ended up a critical part of this ship. The following is just a short summary of my long conversations with each of these people. I found so much to write about, that today’s log will be about scientific careers, and tomorrow’s will focus on the non-scientific careers. Of course, I had to begin my interviews with the man in charge: Commander Lawrence Krepp. CDR Krepp has been a NOAA Corps officer for over 20 years, and CO of the TJ since April of 2011. He particularly enjoys working on hydrographic ships, because they are the only ones in the fleet in which the CO is also the Chief Scientist. His background includes a degree in marine biology and work with the National Undersea Research Center. In addition to saving him from a meeting each day, the major perk to being Chief Scientist is that he is able to work much more closely with the FOO to accomplish the objectives of the science party while maintaining supervision of all of the ship’s operations. CDR Krepp is able to spend his mornings walking around the ship and checking in on the bridge, then the rest of his day is spent immersed in reviewing survey work and other administrative duties. The CO puts a nautical trivia question in the night orders for his officers. He then checks their answers the next day. On a more personal level, the CO mentioned that he wished he had more time to really work with the officers on their skills. CDR Krepp mentioned that he minored in education when he was in college, so it seems a little bit of the teacher still remains. Turnover on ships is very high because officers alternate every 2-3 years between sea and land assignments, therefore he will try to improve knowledge around the ship through spontaneous questioning on various scenarios that could occur. However, he always keeps an eye on the ship’s navigation systems to make sure the ship is safe and secure. If there was one aspect of his ship that the CO could change, it would be to improve the environmental treatment of the various waste streams on the TJ. 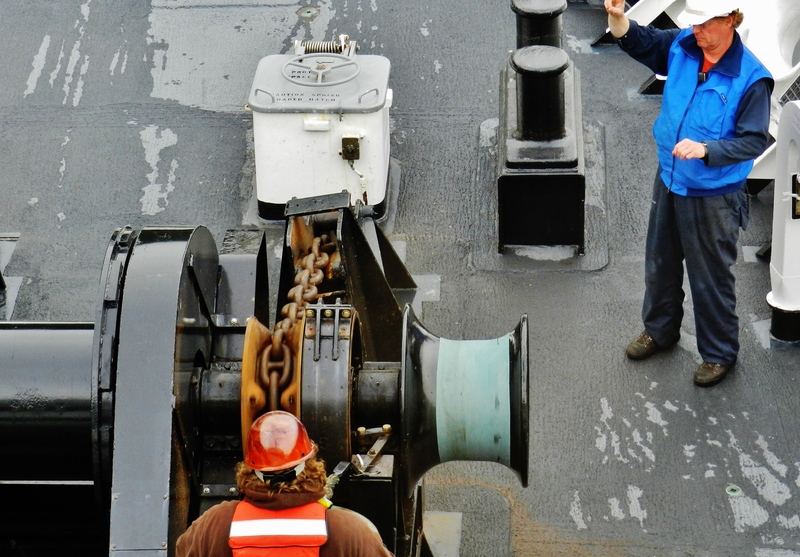 An independent energy audit of the Thomas Jefferson was conducted in 2010, and CDR Krepp hopes to make improvements to the ship during his tenure as CO. Finally, the CO will do various things around the ship to help boost morale. 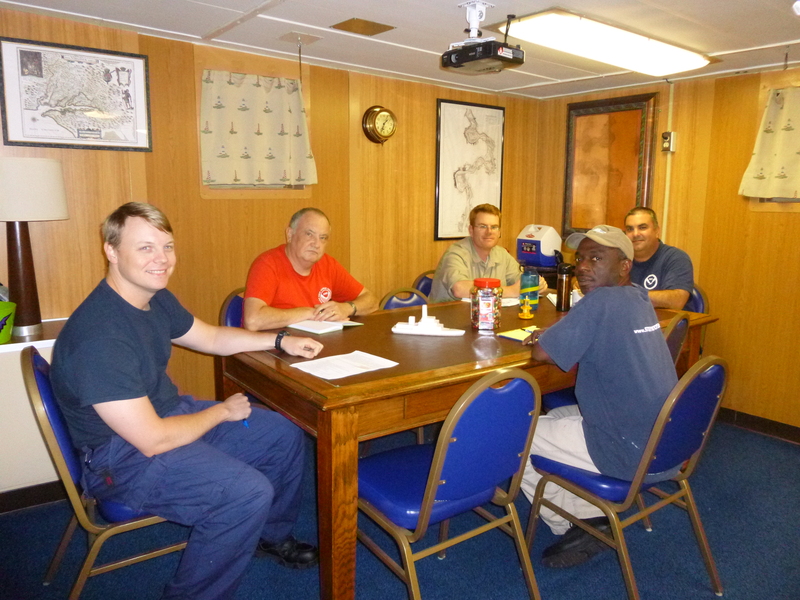 The people that work on the ship give up a lot of personal freedoms, especially time with family, so the CO participates in some of the team-building around the ship. For example, he consented to have his hair cut by the winner of a ship-wide raffle. Proceeds from the raffle go directly back to planning events that can happen when at a port of call, such as going to a baseball game. Thanks for the interview, Captain! Next in line was Lieutenant Commander Christiaan van Westendorp, otherwise known as the XO. The XO actually earned the rank of Lieutenant during his six years as a Navy Officer, a portion of which was spent on a nuclear-powered Navy submarine. Navy command structures do not generally transfer directly over to the NOAA Corps, so the XO had to spend nearly an additional year as an Ensign before being given his Lieutenant rank with NOAA. He spent two years as a FOO, and then was hired as XO of the NOAA Ship Ferdinand R. Hassler before coming to the TJ in November of 2012. LCDR van Westendorp will be on the TJ until the end of 2014, be given a land assignment for a few years, and then will most likely go to his final sea assignment as the CO and/or Chief Scientist of a NOAA ship. 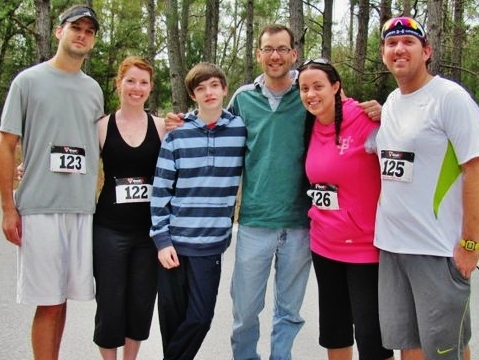 The XO is quick to point out that his career path is atypical of most NOAA officers, and he has been fortunate to be able to spend almost his entire NOAA career based out of Norfolk. The XO is the main administrator, safety officer, and human resources officer on the ship, among other duties. These tasks involve a lot of paperwork, but also a lot of personal skills to work with any conflicts that might arise on the ship. His favorite part of his job is walking around the ship to keep in touch with everyone, and finding new challenges to tackle every day. LCDR van Westendorp echoes the opinion of many of the people I interviewed who just can’t get enough of the dynamism of life aboard a ship. 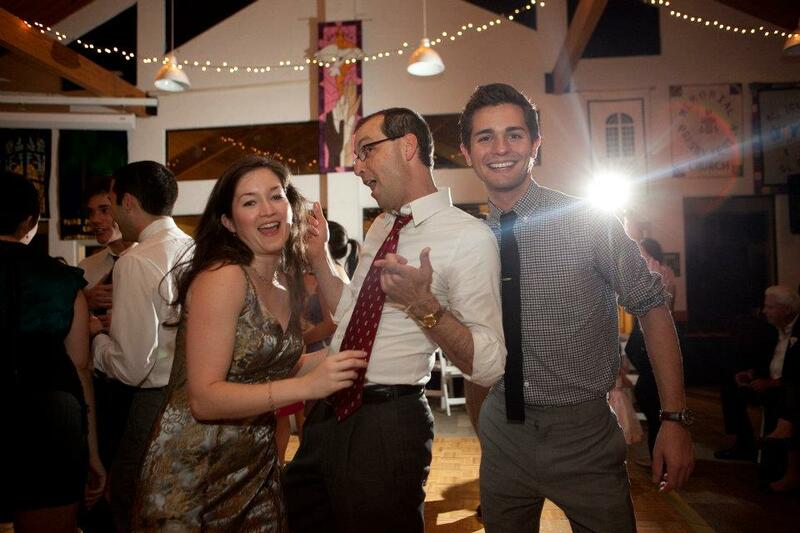 Another aspect of the dynamism of the job is the exciting locales in which he has served. Since joining NOAA in September of 2005, the XO has had the opportunity to work in exotic locations such as Belize, Barbados, Suriname, Tahiti, and Hawaii. Thanks for the interview, XO! 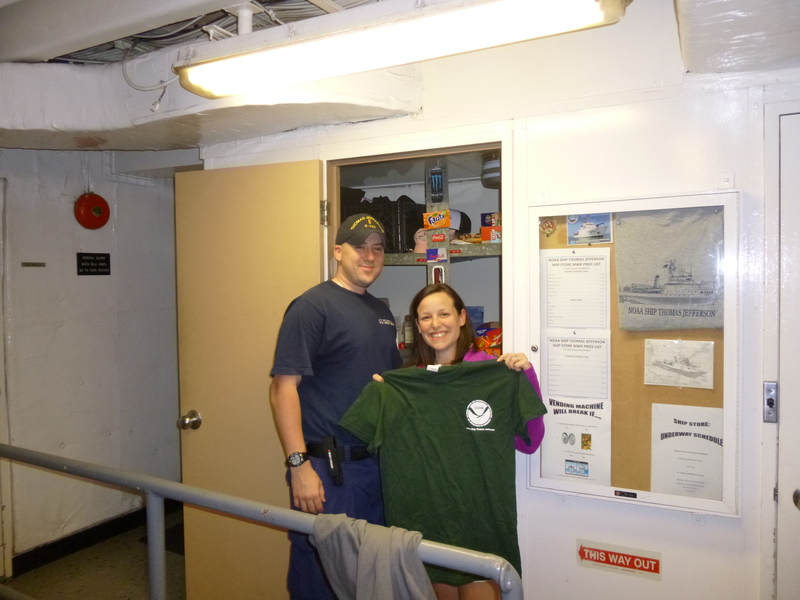 I just bought a T-shirt from the ship store. Ensign Steve is in charge of keeping the store stocked and organized. Working my way down the NOAA Corps Officers brought me to the second-newest officer on board, Ensign Steve Moulton. Ensign Moulton spent nine years in the Coast Guard, and has had to start over working his way up in the NOAA ranks. Right now, he feels that he is in a very heavy learning period of his career. Although he majored in an environmental field in college, he still had to attend hydrography school to learn the complex software and details of the ship’s work. Additionally, he is learning his way around a lot of collateral duties such as being the morale officer, the navigation officer, and running the ship store. 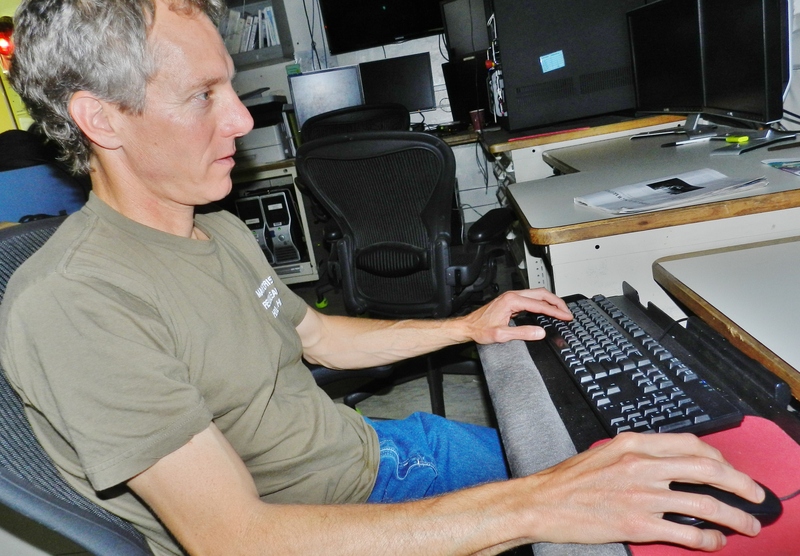 Together with 8 hours of watch and processing hydrographic data, he is kept incredibly busy. The major lesson that Ensign Moulton has internalized is to learn from your mistakes. Conditions on a ship, particularly while on the helm, change very quickly. He feels supported to spend time improving his skills, and has learned that any corrections from senior officers should only come once! Even so, Ensign Moulton enjoys the camaraderie of the ship, and being fortunate enough to spend his career on the water. He grew up in Rhode Island, and feels very connected to life at sea. Thanks for the interview, Ensign! 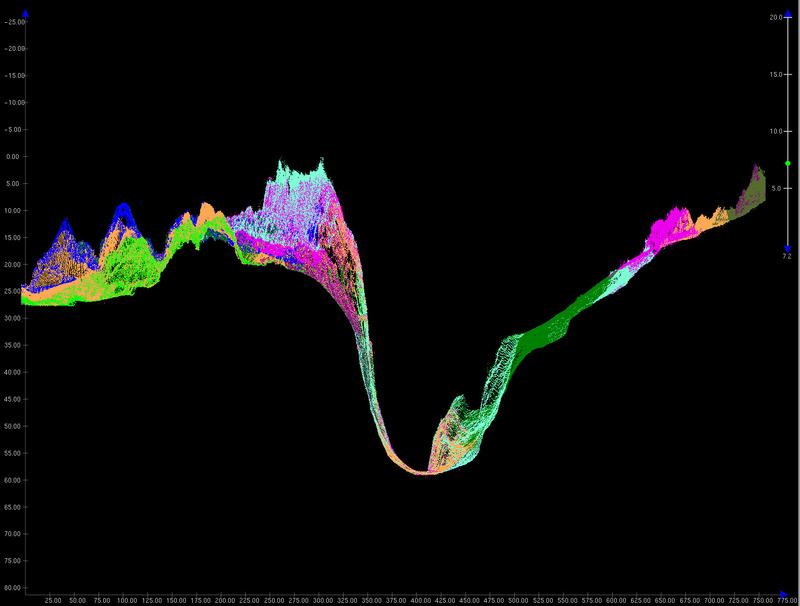 James and I are looking at side scan data. He is pointing at a contact that may be a wreck. My final scientist interview actually spends very little of his time at sea. 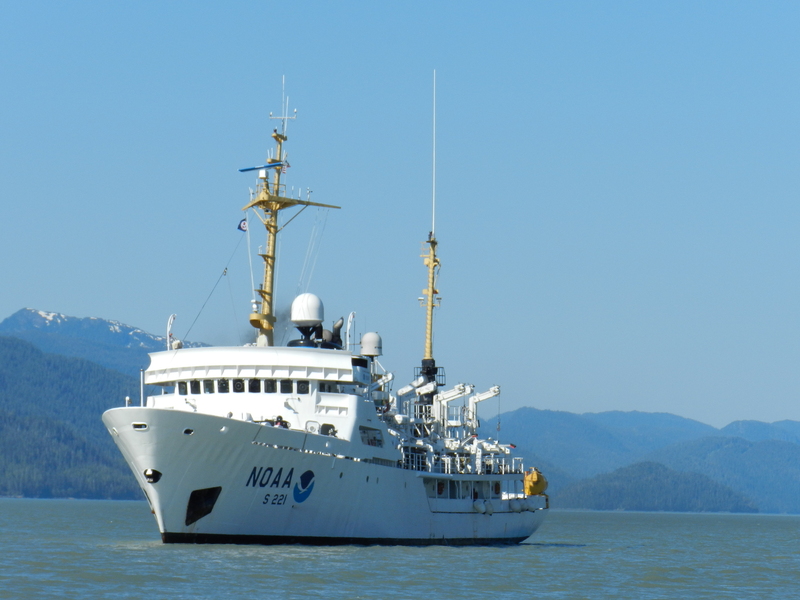 James Miller, Physical Scientist, spends about 6-10 weeks on various East Coast NOAA ships throughout the year. 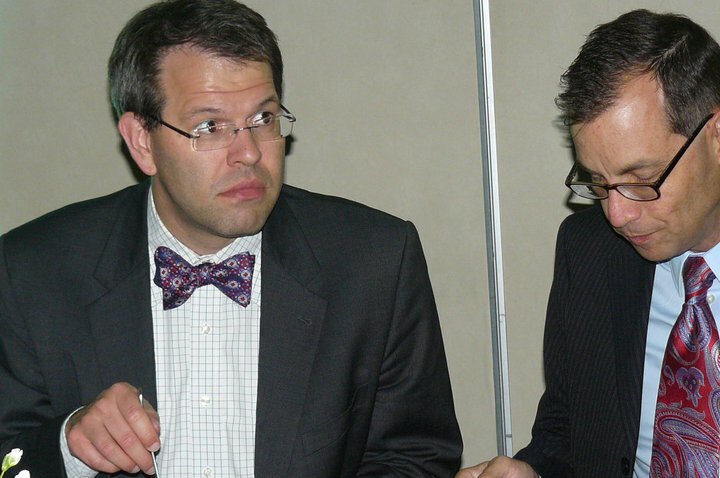 He has worked for NOAA for three years, and is based out of NOAA’s Norfolk office. James joins the TJ and the Hassler for short periods to augment their scientific work and support the survey department. James normally spends his time on shore conducting quality assurance on the surveys that come directly from NOAA’s fleet of hydro ships and hydrographic contractors. He will compile these surveys into preliminary charts that will eventually be sent off to cartographers. James has picked up the knowledge for this career through his degree in Geology, an internship with NOAA arranged through Earth Resources Technology, and on-the-job training. 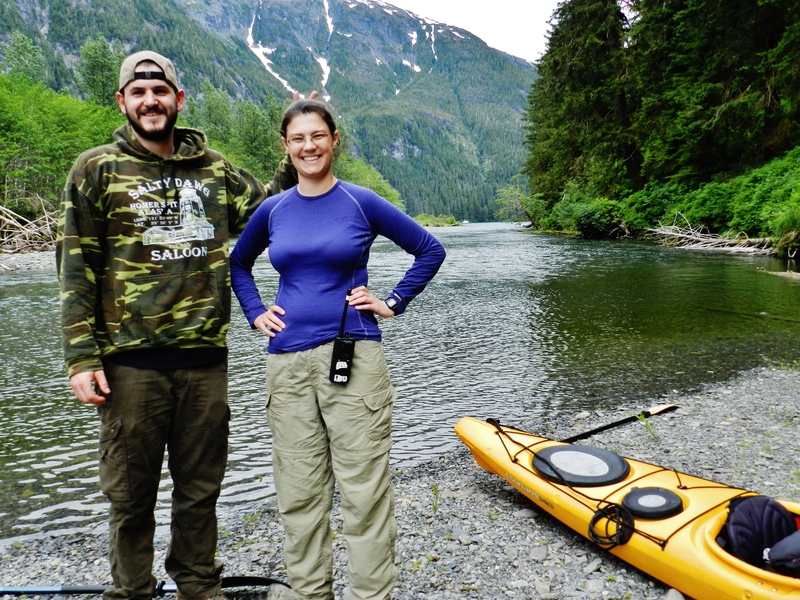 Although most of James’s job occurs behind a desk, he has had the opportunity to participate in a few more exciting NOAA ventures. For example, during the Deepwater Horizon crisis in the Gulf of Mexico, James was tapped to augment on the Gordon Gunter. He has also been asked to augment on assignments to reopen major ports after large storms and hurricanes. These opportunities generally come following emergencies, so James may be asked to report to a ship with only 24 hours’ notice. Finally, as others have said, James’ favorite part of working for NOAA is the dynamism of the field. 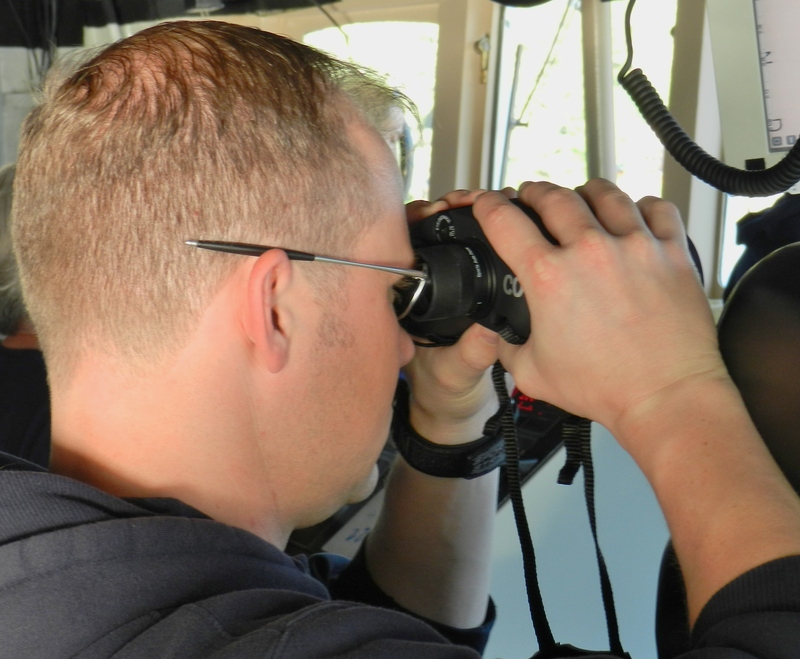 James feels that he is in a steady learning process as the field of hydrography continues to improve in technological capabilities and scientific methods. Thanks for the interview, James! It is getting to that time where we will be headed to Norfolk soon. I have been growing steadily accustomed to life at sea, and am excited to share everything that I have learned. I think the major lesson I have taken from this experience is one of creativity. If you don’t look past what you have learned, you may never know what other opportunities exist. As a teacher, I also agree with the idea of dynamism being a huge motivation in a career. Every morning that I wake up, I have new lessons to teach and challenges to address. I hope to keep that perspective and sense of adventure when I return to my classroom in the fall. 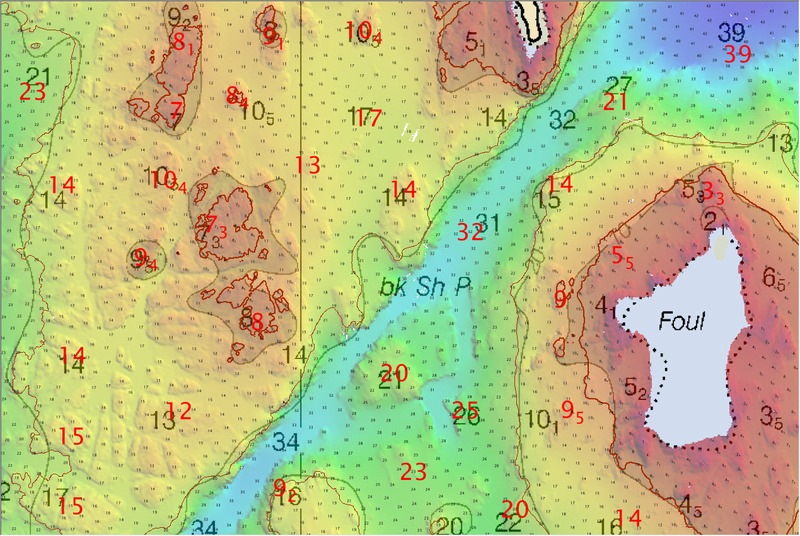 The nautical charts created by NOAA are available in digital format for free public use. 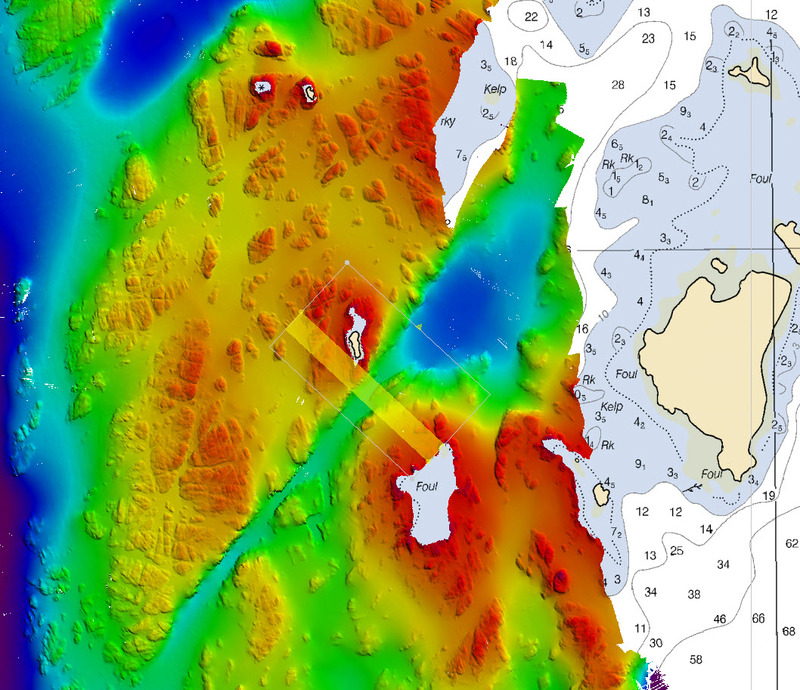 Hydrographic data is collected by NOAA ships, as well as with the cooperation of the U.S. Coast Guard, the Army Corps of Engineers, and the U.S. Geological Survey. 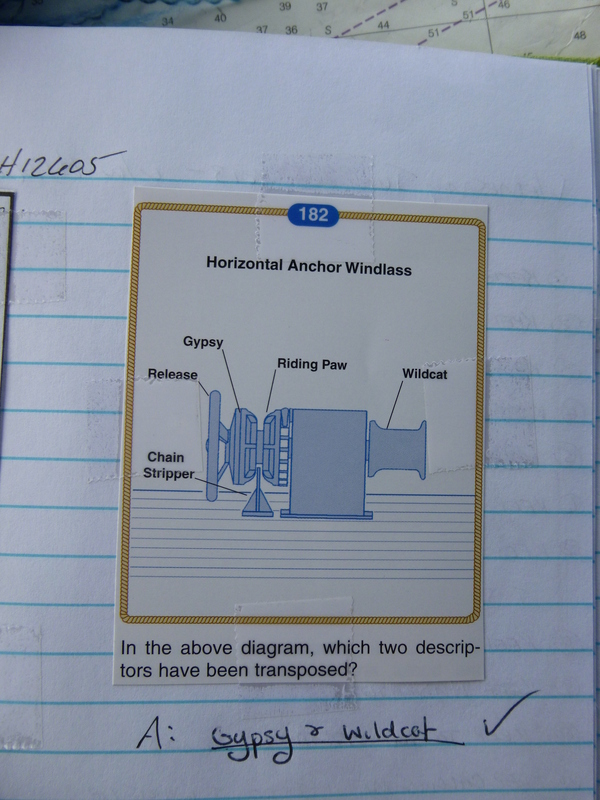 Remember that headings on a ship are measured around a full 360⁰ circle clockwise from north. Therefore, 344⁰ and 22⁰ are only 38⁰ apart directionally. 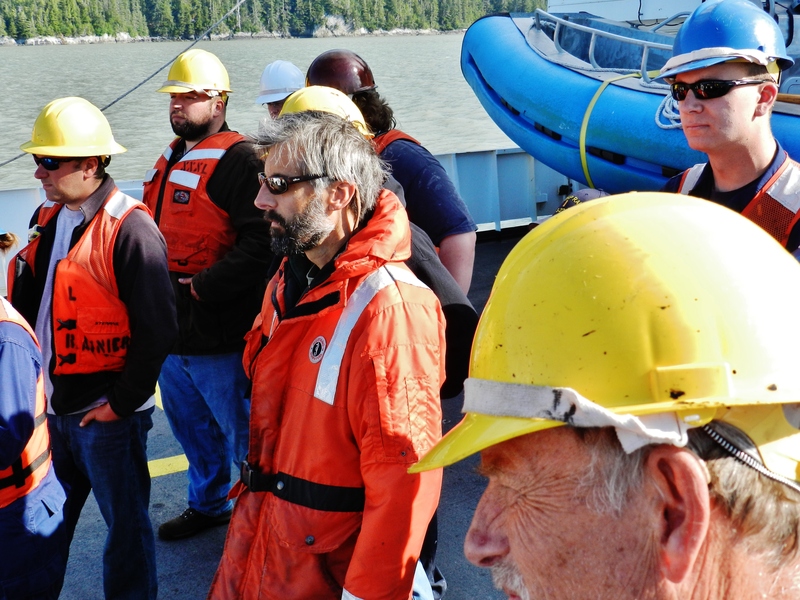 The operation of NOAA Ship Rainier, S-221, requires the cooperation of a large, hard-working, and multi-talented crew. Especially as we leave the confines of childhood, society views us, at least in part, by our intentional decisions about which people make up our circle of friends and our group of colleagues. Certainly such outside judgments can be unfair when based only on short-term glimpses, predisposed biases, or moments misunderstood for lack of context, but I think that long-term observations of our personal associations can provide meaningful information about us. 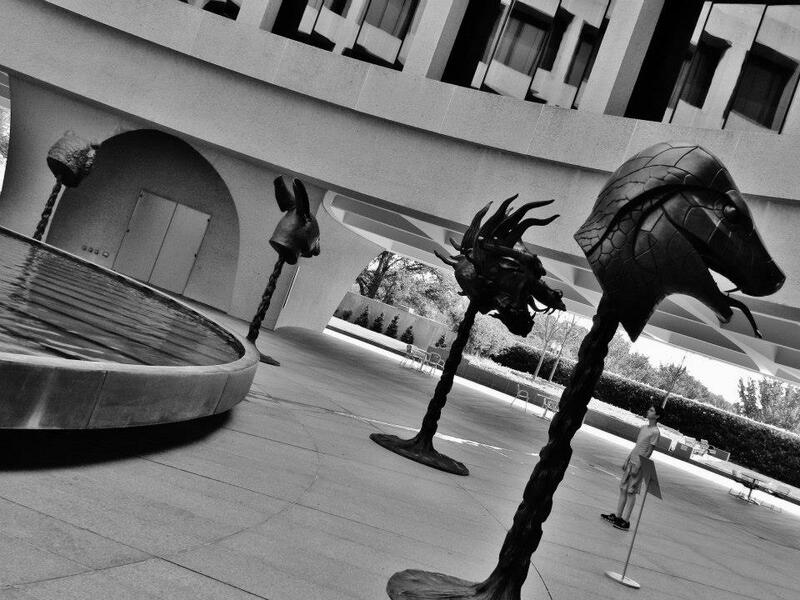 My closest circle of friends – intentionally – is populated by a rich gumbo of personalities, ideas, ideals, physiques, insights, humors, tastes, preferences, and behaviors, all of which serve to stimulate my mind, activate my creativity, enrich my soul, entertain my spirit, and motivate my direction. In other words, they are the scaffolding that supports me and the team that carries me along through so many parts of my own explorations. Jasmine’s appreciation of intelligence and beauty, Collin’s sharp wit, Reece’s focused intensity, Dad’s analysis, Mom’s honesty, Lisa’s support, Grandma Madeline’s generosity, Aunt Marilyn’s and Uncle Marc’s welcome, Aunt Lynn’s spunkiness, Cheryl’s cool, Dillon’s quiet observation, Jack’s vision, Teresa’s organization, Bob’s perspective, Katy’s goodness, Chris’s enthusiasm, Emilee’s wonder, Kyle’s repartee, Casey’s lyricism, Will’s genuineness, Rien’s kindness, Tyler’s motivation, Zach’s creativity, Brian’s investment in service, Matt’s passion for justice, Gary’s sense of direction, Tommy’s helpfulness, Silas’s wordsmithery, Loubert’s jocularity, Jonathan’s love…. And then add the brilliant and rich colors and flavors and voices of my larger group of friends and acquaintances: the teachers, administrators, students, and neighbors who daily contribute their own stories and wisdoms to my experiences, and the result – again, intentionally – is very nearly a portrait of me… or at least the me that I aspire to become in my own journeys. In other words, we often are judged and almost always are defined by the company we keep. The NOAA Ship Rainier is no exception. Beyond the mechanical body of the ship herself, the personnel here are the essence of the vessel that carries them. Acting CO Mark Van Waes maintains a vigilant lookout on the bridge. Smart and funny, resourceful and dedicated, skilled and hard-working, the crew members of NOAA Ship Rainier are an impressive bunch, all of whom have enriched me in the short time that I’ve been aboard, and all of whom do their jobs and interact in ways that produce superb results. And the wholeness of their shared strengths, talents, and personalities is far greater than the sum of their individual aspects, as always is the case when a team is well-assembled. 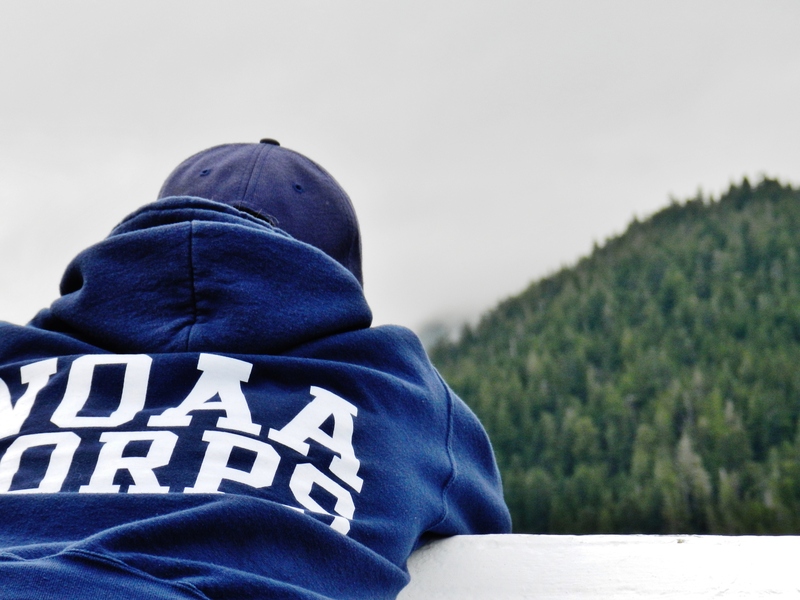 One of the NOAA Commissioned Corps Officers appreciates the beauty of Southeast Alaska. For more than 150 (and sometimes more than 250!) days per year, the men and women aboard ships in the NOAA fleet sacrifice time away from their own homes, friends, and families – and regularly that remoteness isolates them from news, television, phone, and internet for days or weeks at a time – in service to the public at large through their assigned missions at sea. Currently, nearly four dozen crew members serve aboard Rainier in several departments, each of which serves its own set of functions, but all of which are unified by their shared mission, like the instrumental sections of an orchestra in the production of a symphony. The NOAA Commissioned Officer Corps, sharply outfitted aboard ship in their navy blue ODUs (operational dress uniforms), is one of the seven uniformed services in the United States government. For this leg of the mission, the officers aboard Rainier serve under Acting Commanding Officer (ACO) Mark Van Waes and Executive Officer (XO) Holly Jablonski to perform three sets of functions: administrative, navigational, and participatory. As the administrators of the ship, the officers are responsible for everything from payroll to purchases, and communications to goodwill. In the navigational capacity, the officers are responsible for charting the courses to be traveled by the ship and moving the vessel along those courses, sometimes with helm in hand and sometimes by giving the command orders to effectuate those maneuvers. 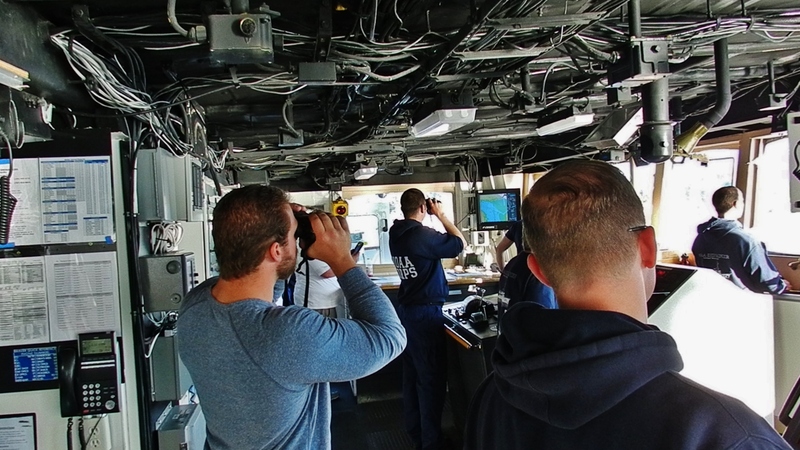 Finally, aboard Rainier and her sister hydrographic vessels, the junior officers are trained members of the hydrographic survey team, participating at all levels in the gathering and processing of data regarding the floor of the sea. Ultimately, the NOAA Commissioned Officer Corps members work to define the missions of Rainier and oversee the execution of those missions. NOAA Commissioned Officers and Third Mate Carl VerPlanck of the Deck Department navigate NOAA Ship Rainier. Members of the Deck Department let go the anchor on the bow. 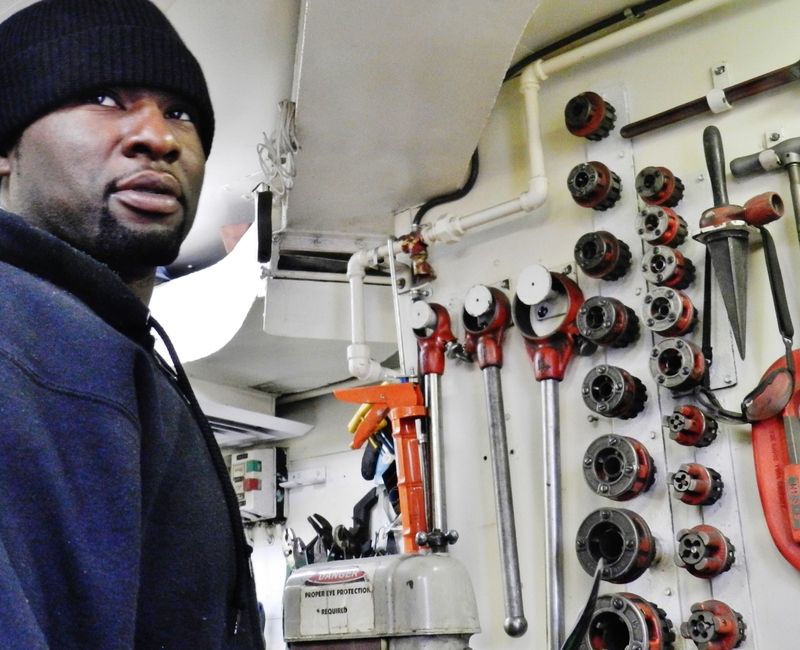 Beyond the uniformed NOAA Corps crew members, Rainier also employs many highly-skilled civilian merchant mariners who work around the clock to support the officers in the duties of navigation and sailing of the ship while it is underway. Essentially, while following the decisive command orders of the Officer Corps, the Deck Department handles the endless details involved in steering the ship and its smaller boats, along with deploying and anchoring those vessels. Under the departmental leadership of Chief Boatswain (pronounced “bosun”) Jim Kruger, the members of the Deck Department all hold various levels of U.S. Coast Guard ratings in navigational watch-standing and deck operations, and their experiences and proficiencies earn them respect with regard to many facets of decision-making and operations on the bridge. Survey and Deck Department members work together to prepare for the day’s launches. The members of the Survey Department aboard NOAA Ship Rainier are civilian scientists (working hand-in-hand with survey-trained NOAA Corps officers) who have been trained in the specialized work of conducting surveys of the sea floor using single-beam sonar, multi-beam sonar, tidal gauges and leveling devices, CTD devices (to gather data about conductivity, temperature, and depth of the water column), and several very highly-technical components of computer hardware and software packages. Can you see the horizontal lines on this rock formation? They are caused by cyclical changes in the elevation of the sea water as a result of tidal forces. Only the highest point (around where the bald eagle is perched) of this 150-meter-wide set of rocks (extending beyond the boundaries of this image in both directions several times the width of what this photograph shows) remains above the water line at high tide. 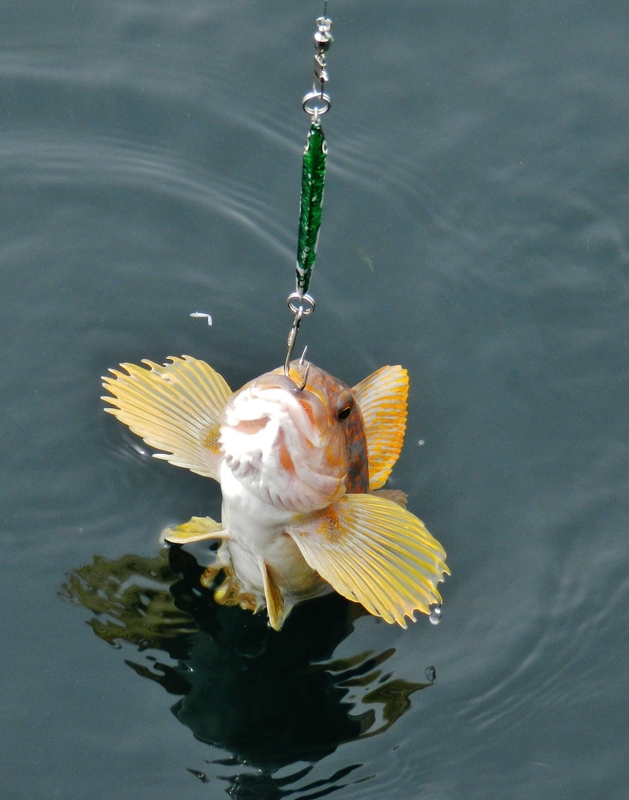 However, the portions that become submerged remain extremely dangerous to seagoing vessels, which is why the work of the Survey Department is so important. From Hydrographic Assistant Survey Technicians (HASTs) upward through the ranks to Chief Survey Technician (CST) Jim Jacobson, they are superb problem-solvers and analysts with undergraduate- and graduate-level degrees in the cartography, biology, geography, systems analysis, and many other fields of scientific expertise, and one survey technician aboard Rainier is an experienced mariner who transferred into the Survey Department with a broad educational background ranging from the humanities to computer science. The members of the Survey Department spend countless hours gathering, cleaning, analyzing, and integrating data to produce nautical charts and related work products to make travel by water safer for everyone at sea. … which then goes through this sounding selection stage before eventually being finalized into a nautical chart for public use. 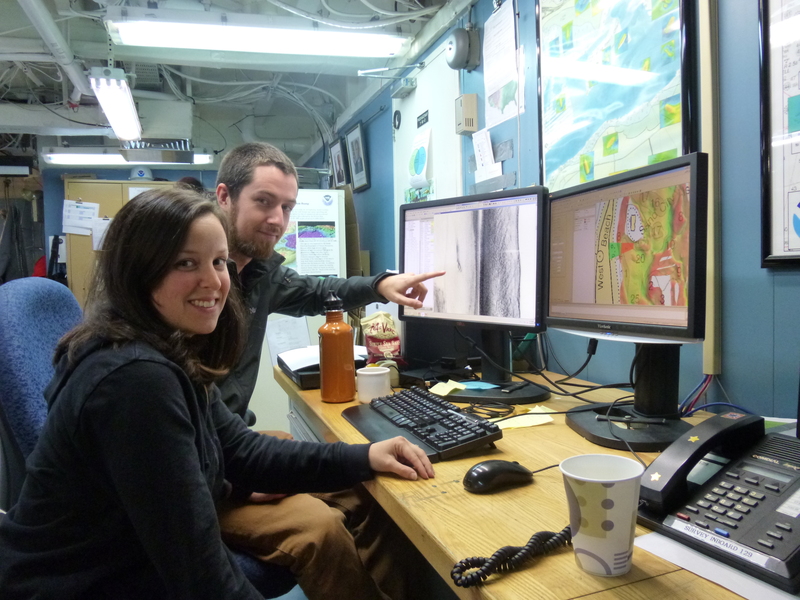 NOAA physical scientist Kurt Brown joins Rainier in surveying the sea floor of Chatham Strait. One or two physical scientists join the ship’s crew for most of the field season from one of two NOAA Hydrographic offices (in Seattle, Washington and Norfolk, Virginia), where their jobs consist of reviewing the hydrographic surveys submitted by the ships to make sure that they meet NOAA’s high standards for survey data, and compiling those surveys into products used to update the approximately 1000 nautical charts that NOAA maintains. The ship benefits from the physical scientists’ time on board by having a person familiar with office processing of survey data while the surveys are “in the field,” and also by receiving an extra experienced hand for daily survey operations. The physical scientists also get a refresher on hydro data collection and processing along with a better understanding of the problems that the field deals with on a daily basis, and they bring this up-to-date knowledge back to the office to share with coworkers there. Oiler Byron Doran of the Engineering Department chooses the right tools for the job. The Engineering Department is a combination of U.S. Coast Guard licensed Engineering Officers (CME, 1AE, 2AE, and 3AE) and unlicensed engineering personnel (Junior Engineer, Oiler, and GVA). Their work is concerned with the maintenance of the physical plant of the ship — everything from stopping leaks to making mechanical adjustments necessary for Rainier‘s proper and efficient running in the water. The engineers are skilled craftsmen and craftswomen who wield multiple tools with great dexterity as needs arise. Electronics Technician (ET) Jeff Martin is hard at work. The Electronics Technician aboard NOAA Ship Rainier (some ships have a larger department) has the important role of making sure that the many computerized systems — both hardware and software — are properly networked and functional so that navigation and survey operations can proceed effectively and efficiently. 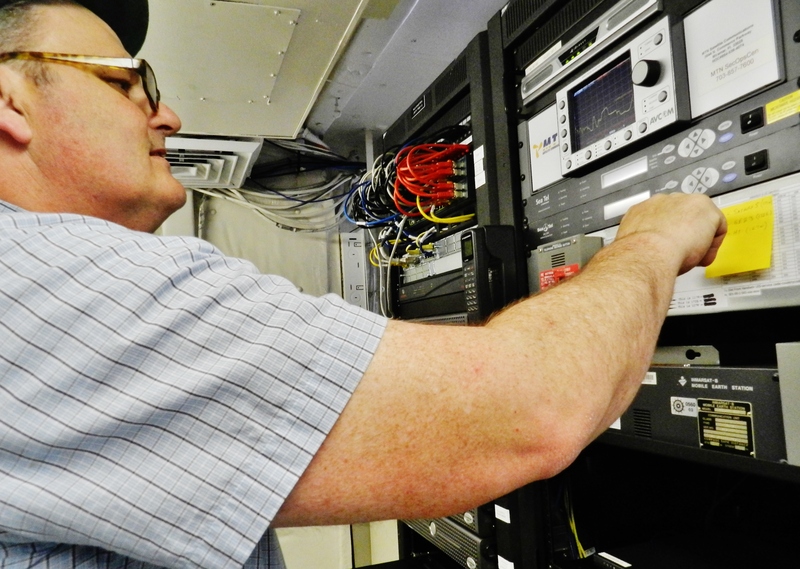 Having trained on radar equipment with the U.S. Navy “back in the days of glass tubes,” ET Jeff Martin is an expert’s expert, adept at prediction and troubleshooting, and skilled at developing plans for moving systems forward with the ship’s mission. Chief Steward Doretha Mackey always cooks up a good time and a great meal. Chief Steward Kathy Brandts and GVA Ron Hurt keep the crew happily well-fed. 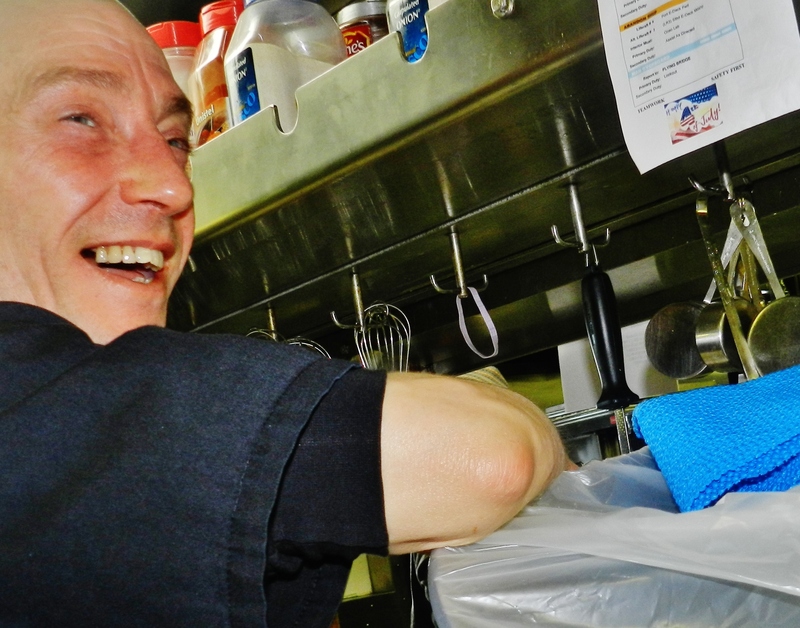 The Steward Department runs the galley (the ship’s kitchen) and currently is composed of four crew members aboard Rainier. 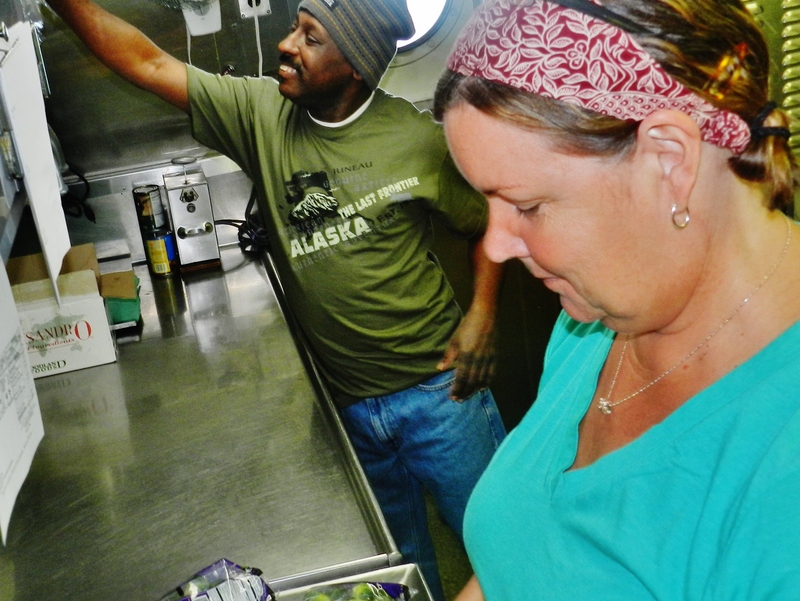 Specifically, they are responsible for menu preparation, food acquisition, recipe creation, baking, and meal preparation for the 40+ people who must eat three meals (and often have snacks) spread across the entire day, both underway and at port, including special meals for away-from-the-galley groups (like launch vessels and shore parties), when local goods (like fish, fruits, and vegetables) are available, and/or for crew members or guests with dietary restrictions. An army moves on its stomach. The meals aboard this ship, by the way, show great diversity, technique, and nutritional value, including grilled fish and steaks, vegetarian casseroles, curried pastas, homemade soups, fresh salads, and a wide variety of delicious breakfast foods, snacks, and desserts. Second Cook Floyd Pounds works to prepare a meal for the crew. So those are the current citizens of the seagoing vessel NOAA Ship Rainier, harmonizing within a common chord, travelers who together explore the seas by working together to achieve their unified mission. They are the excellent company that I keep on this leg of the exploration. As you endeavor upon your own journeys, remember always to choose your company wisely so that your efforts are supported when challenging, insulated when vulnerable, motivated when difficult, and celebrated when successful. And once you are surrounded by those good people, keep exploring, my friends. Sea otters enjoy one another’s company along their way. Although they all work long, hard hours at their many assigned tasks, members of the team aboard NOAA Ship Rainier also enjoy one another’s company and occasionally get to have a good time. Sharing an isolated, moving home barely 70 meters long with four dozen people for several weeks at a time guarantees social interaction, and the sounds of testimonies of laughter and friendship regularly fill the air in and around the ship, both among the workstations and away from the ship. Since joining the crew of Rainier just a week and a half ago – and beyond the many exciting excursions that are simply part of the regular jobs here – I already have been invited to join various smaller groups in exploring a town, dining in a local eatery, watching a movie, climbing a glacier, fishing in the waters of Bay of Pillars, walking on a beach, and kayaking through beautiful Red Bluff Bay past stunning waterfalls, huge mountains, and crystal-clear icy streams, including a spontaneous hike into the deep and wild, verdant and untrammeled woods above the shore, following uncut paths usually trod only by deer and bears on their way to the frigid water running down from the snow-capped peaks high above. Evan replaces his socks after walking through the frigid stream. 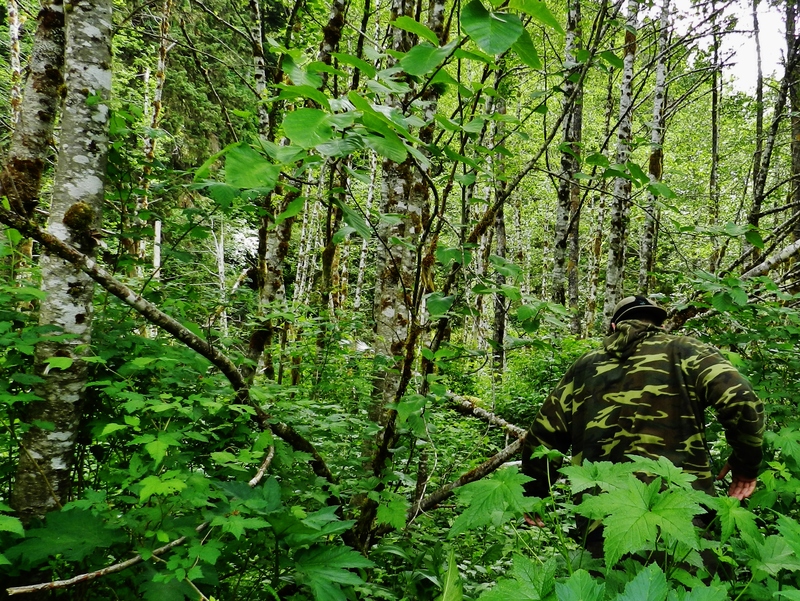 Evan takes the lead hiking into the woods, armed with bear spray and an adventurer’s spirit! 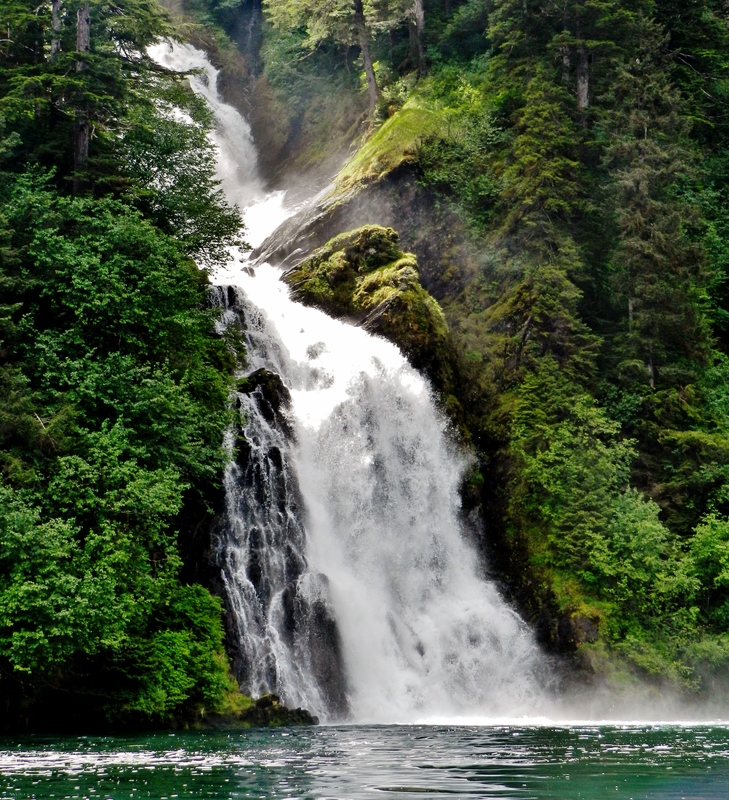 Truly, the people aboard Rainier know how to enjoy the gift of life. And I feel honored, flattered, privileged, and happy to be included among these new friends on their great adventures.